Your Buick Dealership absolutely needs the SkyDancers.com Buick Black Feather Flag advertising product to compete in today's marketplace. 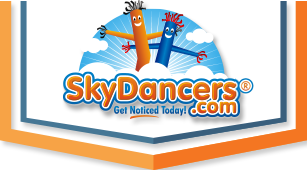 Update the design scheme of your location, generate higher revenue, and be able to pull greater number of visitors with this brightly colored and stylish SkyDancers.com Feather Flag standing 15ft high from the ground with pole set. Be sure to add the SkyDancers.com Ground Spike Pole Set to install in the dirt ground or add the SkyDancers.com X-Stand Pole set to install on a flat ground surface. Made from high quality materials, these flags are in stock and ready for shipment today! Just as pictured. Excellent value, with good quality.